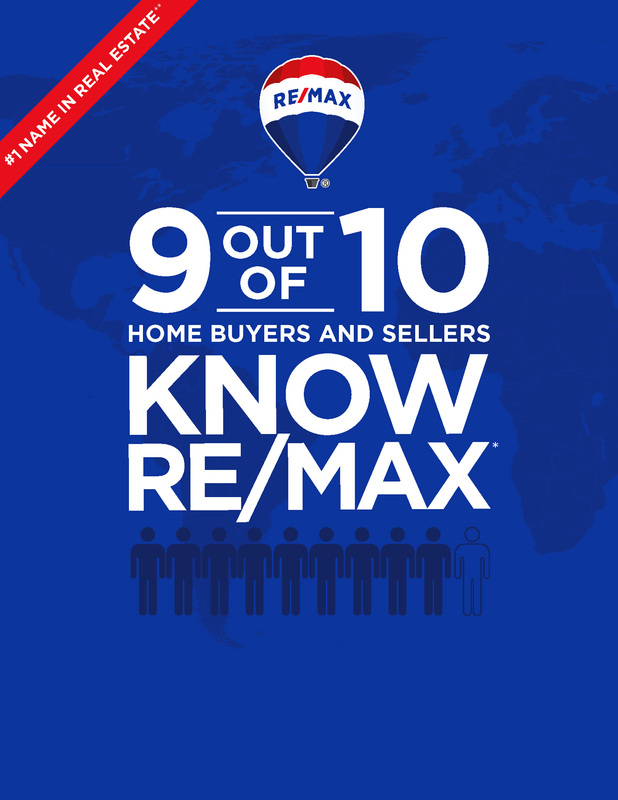 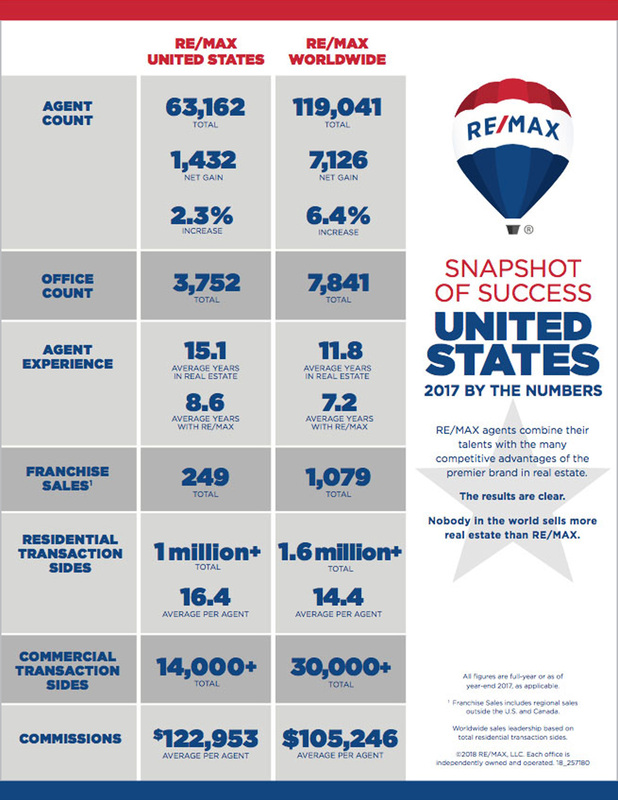 RE/MAX has more than 115,000 agents in over 100 countries and territories, a greater worldwide footprint than any other real estate brand. 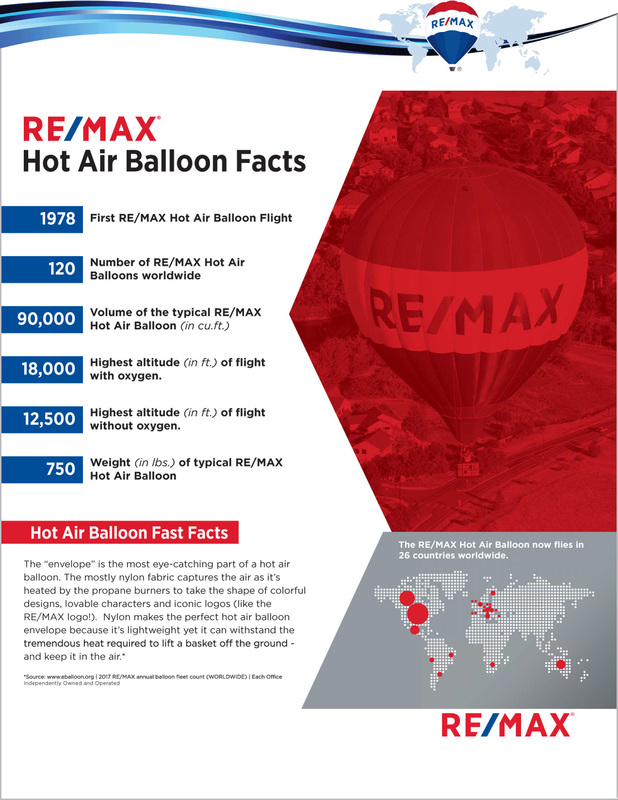 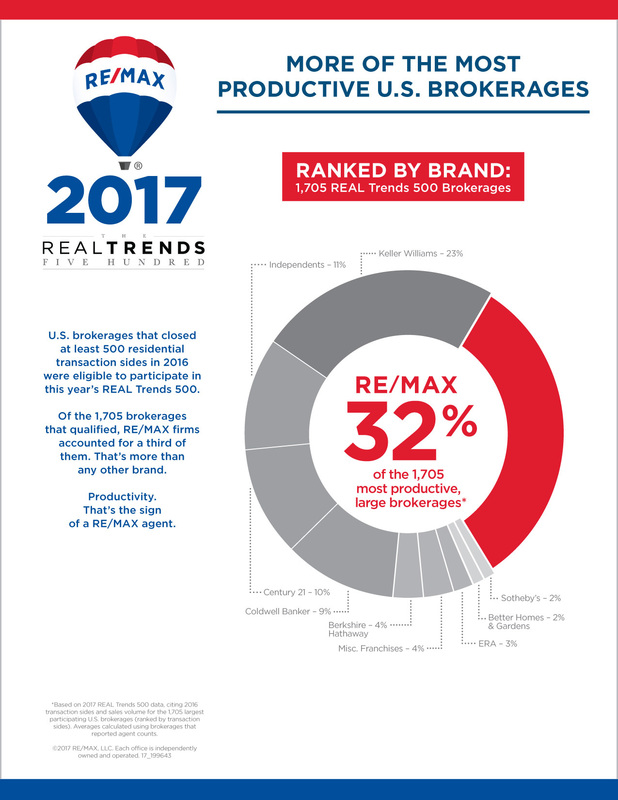 RE/MAX agents have raised more than $157 million to Children’s Miracle Network Hospitals since 1992, and RE/MAX is one of the top three donors of all time. 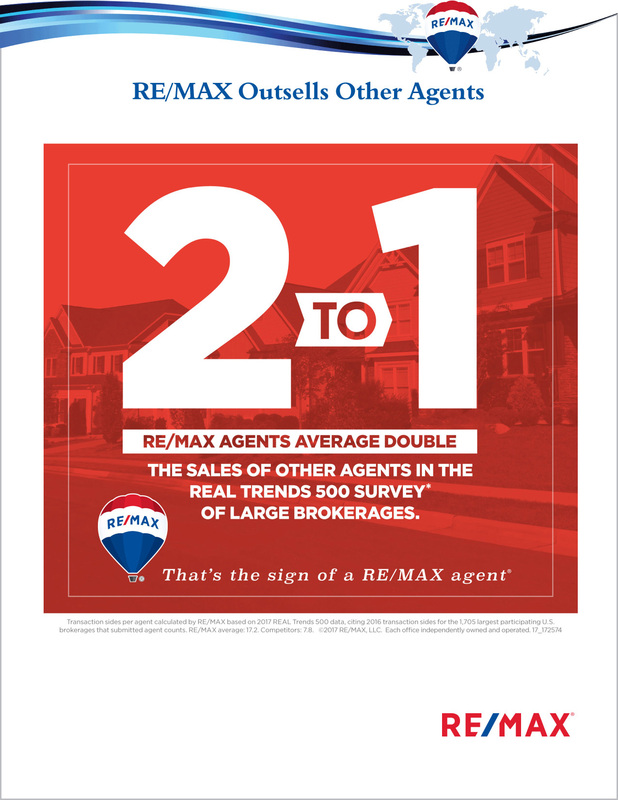 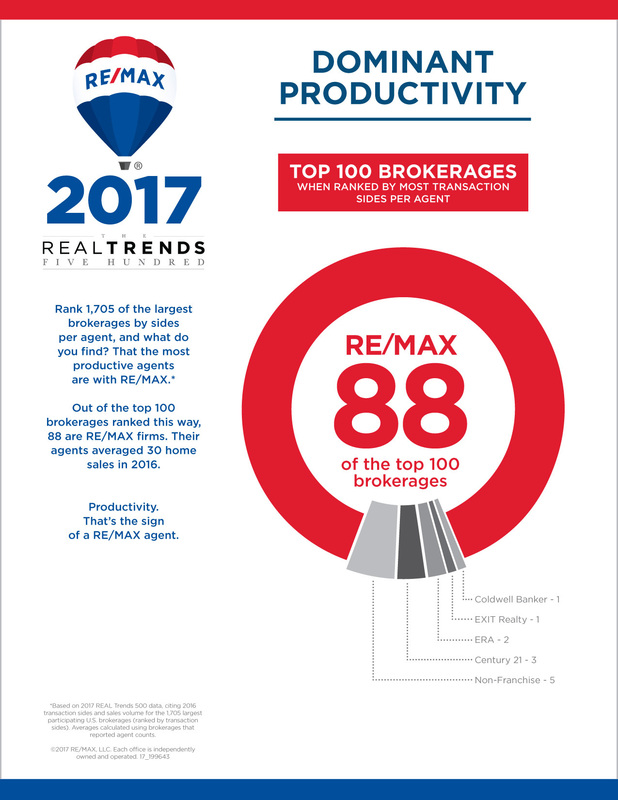 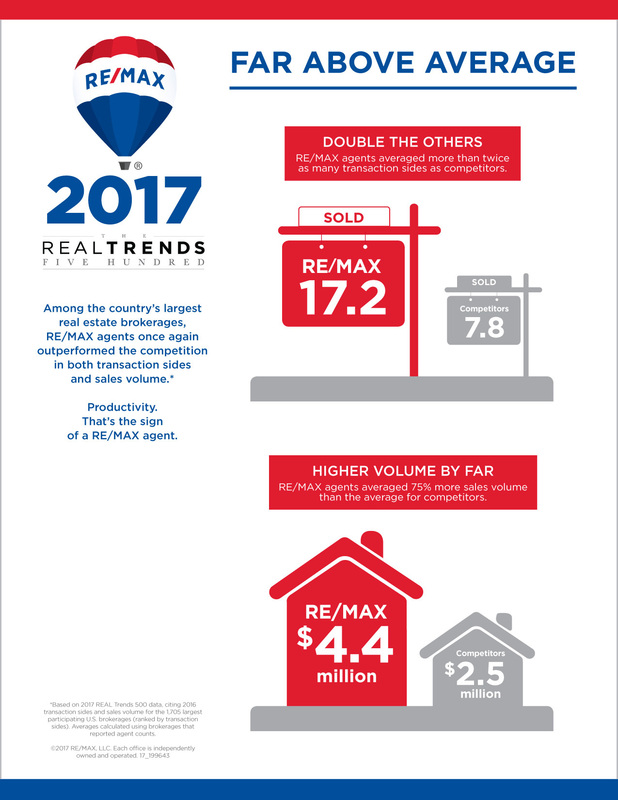 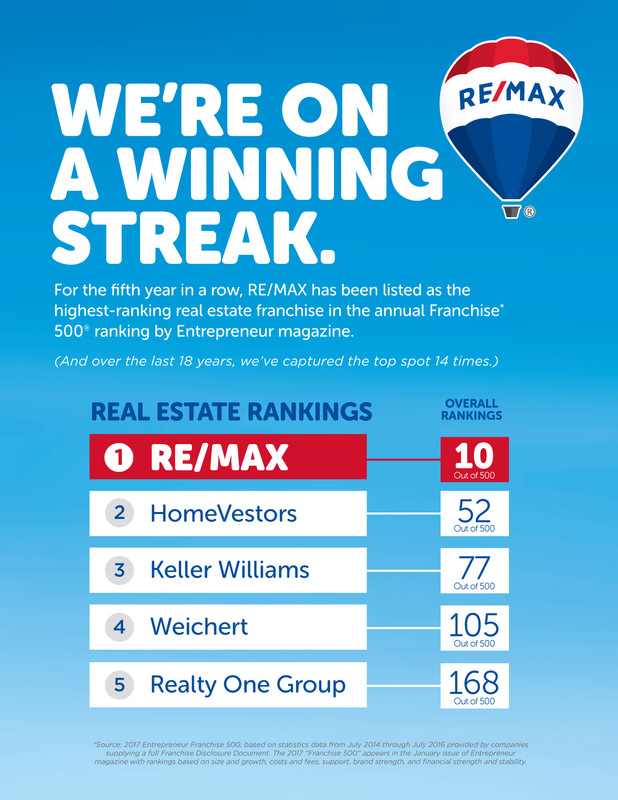 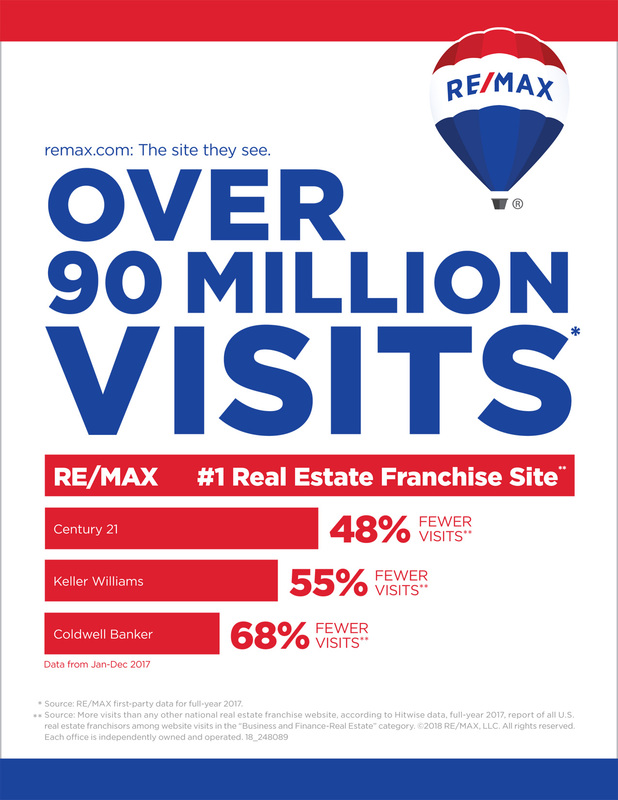 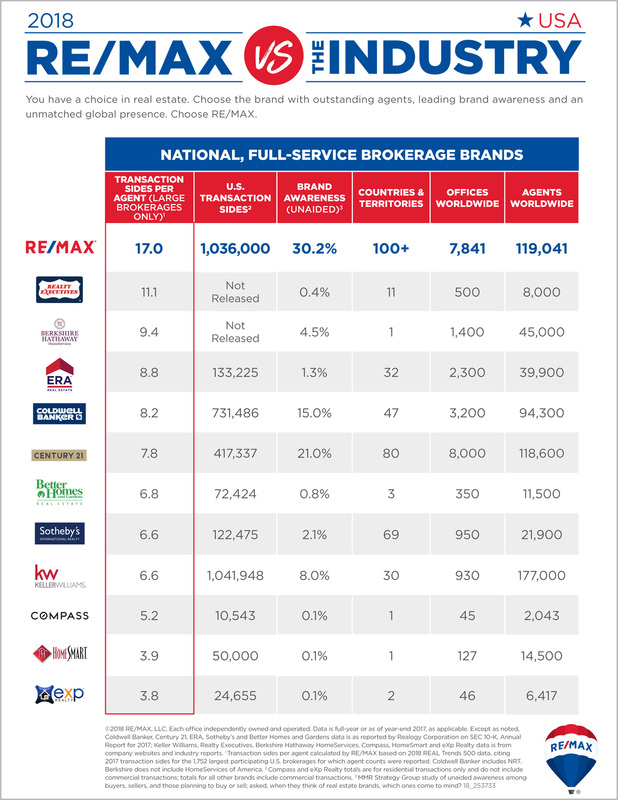 On average, RE/MAX agents outsell those from other national real estate franchises in comparisons of the largest real estate brokerages, most recently in the 2018 REAL Trends 500 report.